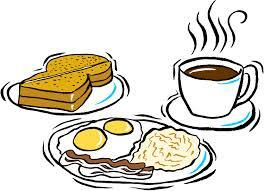 Treat your Father to breakfast Sunday, June 21st at the Glen Rock Hose & Ladder Co. 7:30 am to 11:30 am. Adults: $8.00 (Fathers: $4.00), Children 6 to 12: $4, Under 6: $2. New addition to the menu, Blueberry Pancakes. Menu: Eggs, Bacon, Sausage Links, Fried Potatoes, Pancakes, Blueberry Pancakes, French Toast, White & Wheat Toast, Biscuits, Chipped Beef & Sausage Gravy, Fruit Cocktail, Orange Juice, Coffee & Tea. Located at 17 Hanover St., Glen Rock, PA 17327. For information call 717-235-2654.